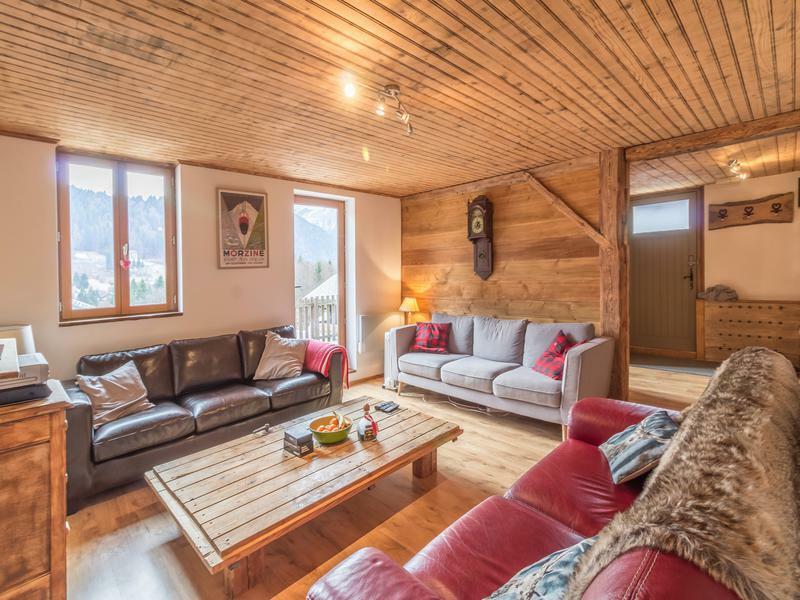 Recently refurbished this spacious chalet of almost 300m2 has been run as a successful catered chalet for many years. 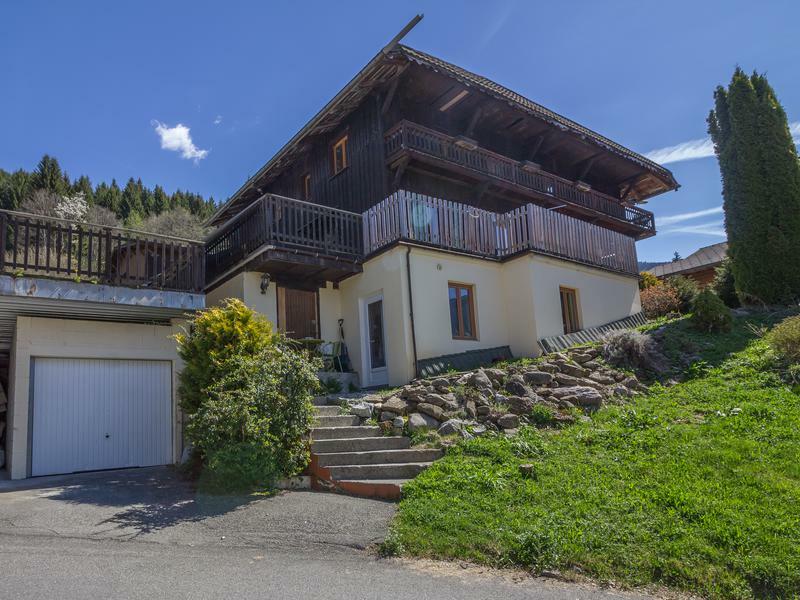 It is in a sunny location with views over the ski slopes of Pleney, is only 1.5km from Morzine and it is a flat walk of about 10 minutes. It also comes with a 2 bedroom apartment and a large studio apartment. Entrance door into hall with a wc leading to the snug and sitting room. 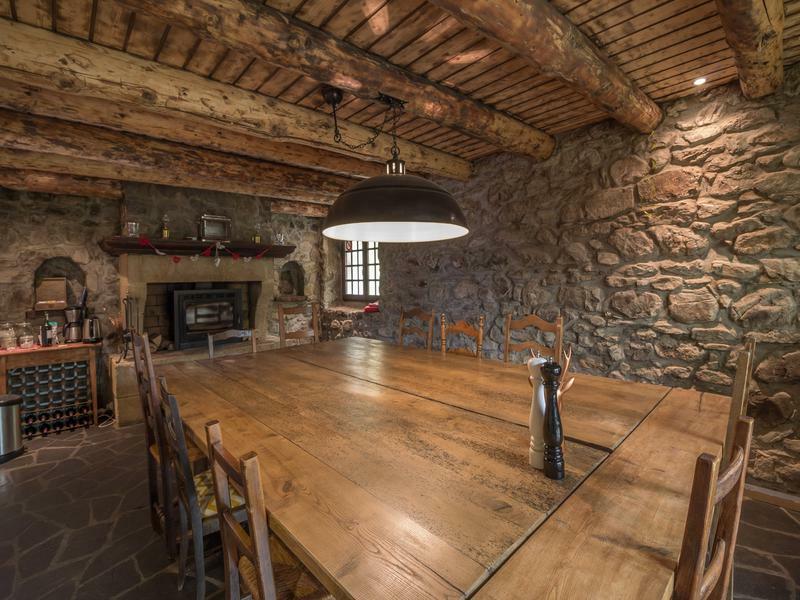 The dining room feels like the heart of the chalet with its large stone fireplace at one end of the room and doors out to the garden at the other end. 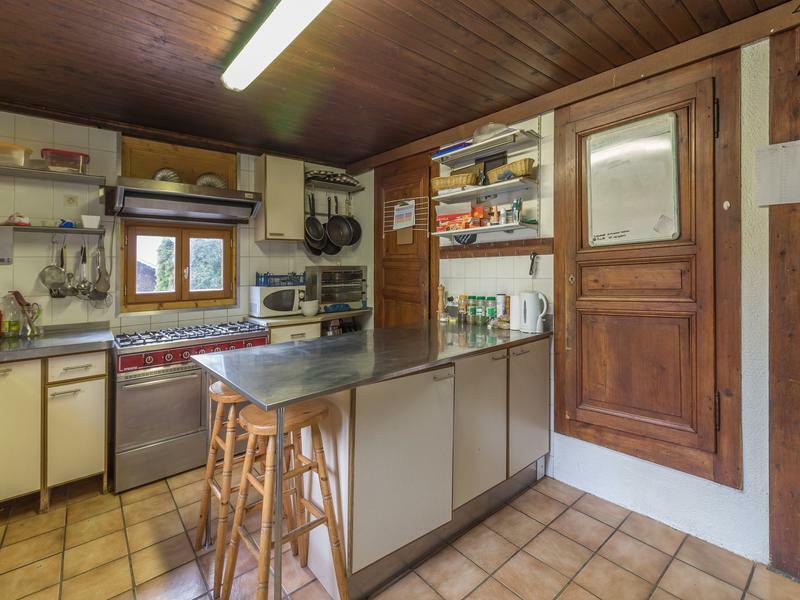 The large kitchen is off the sitting room and has a door to outside. The ski/boot room is accessed at this level via an external door. 4 bedrooms with en suite bathrooms and a 5th bedroom with its own bathroom. 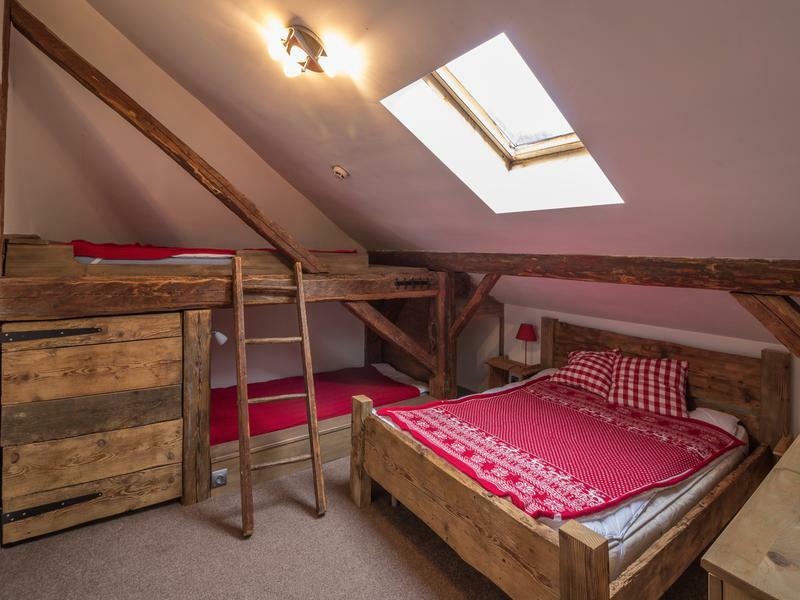 3 Alpine style bedrooms, 2 with bunks beds constructed using the old beams and a family room with a double bed and bunk beds. These 3 bedrooms share a bathroom. 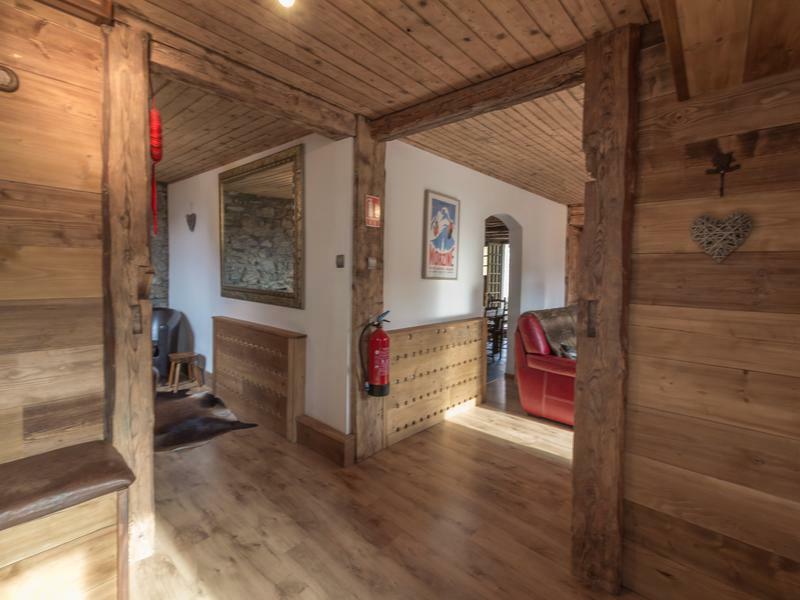 Two bedroom apartment with its own separate entrance. 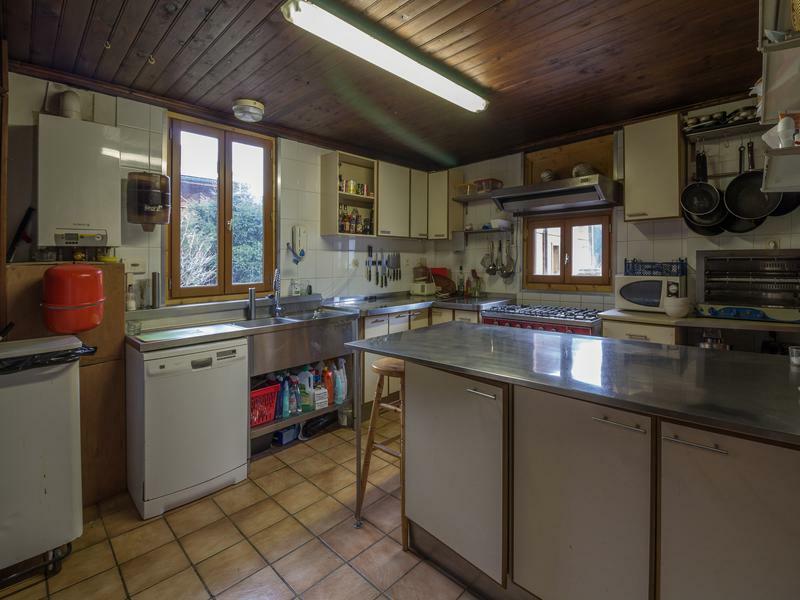 Living room/kitchen, 2 double bedrooms and a shower. Small terrace. Studio apartment with a kitchen, living room a double bedroom and a single bedroom (neither have a window) and a shower room. Enclosed garden with mountain views and a large terrace accessed via the sitting room. There are 3 garages and parking for 3/4 vehicles. Morzine/Avoriaz and Les Gets are great family ski resorts and are part of the vast Portes du Soleil ski domain which has over 200 interconnected lifts with 650kms of runs across 12 resorts, seven in France and five in Switzerland. There are some 273 marked ski runs as well as 216 km of cross-country trails. For advanced skiers the off piste skiing is challenging. 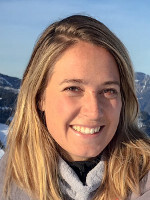 There is good investment in up to date fast lifts in the Portes du Soleil. 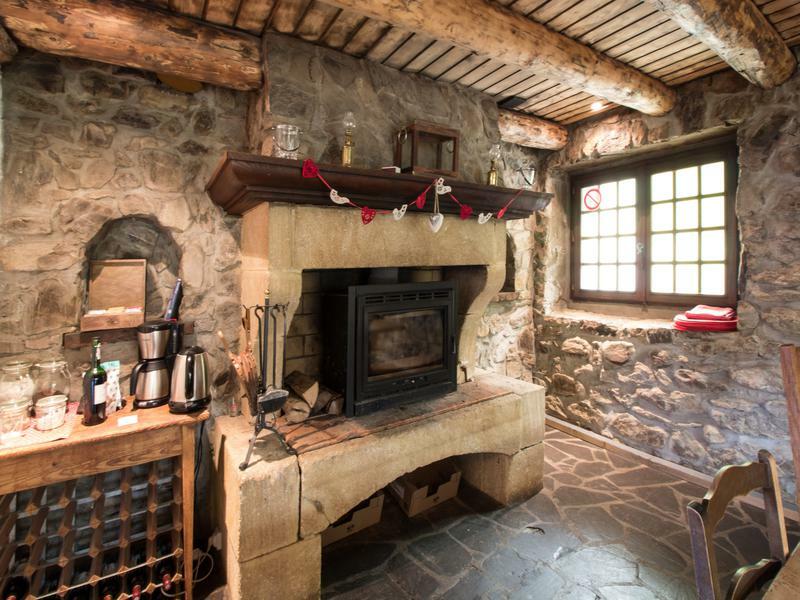 The village of Montriond is charming and has lost nothing of its original Alpine charm. 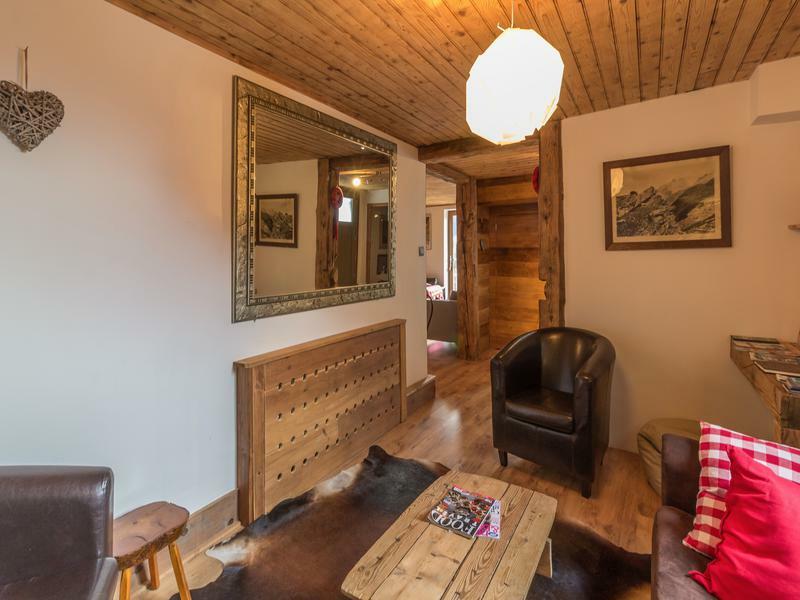 There are shops, bars and restaurants within walking distance of the chalet. In summer the slopes turn into a plethora of marked mountain biking and walking routes. There is also swimming in Lake Montriond, cannoning, paragliding, horse riding or simply relaxing in the alpine sunshine. The spa towns of Thonon-les-Bains and Evian-les-Bains on Lac Leman are only a 30 minute drive away. 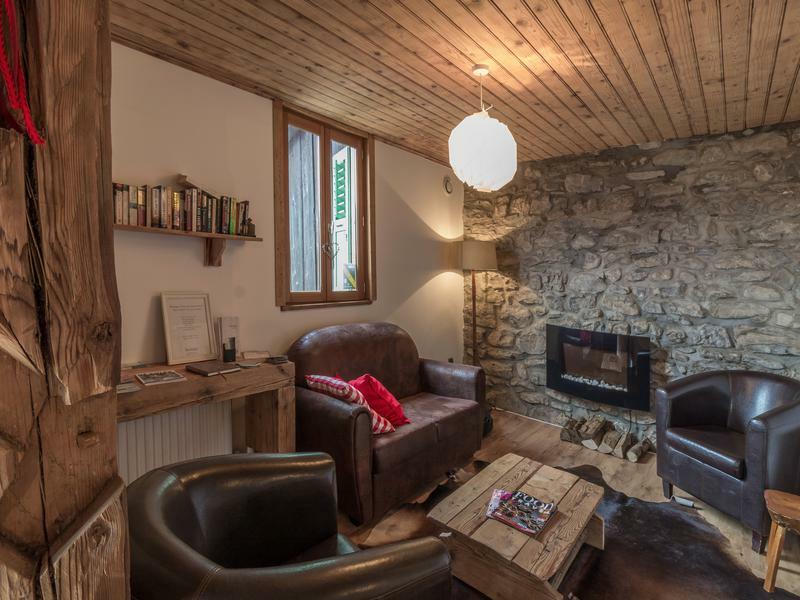 Geneva is the nearest international airport and is only just over an hour away, which makes it very easy for short breaks. It takes about 9 hours to drive from Calais and the other ferry ports in the north of France.